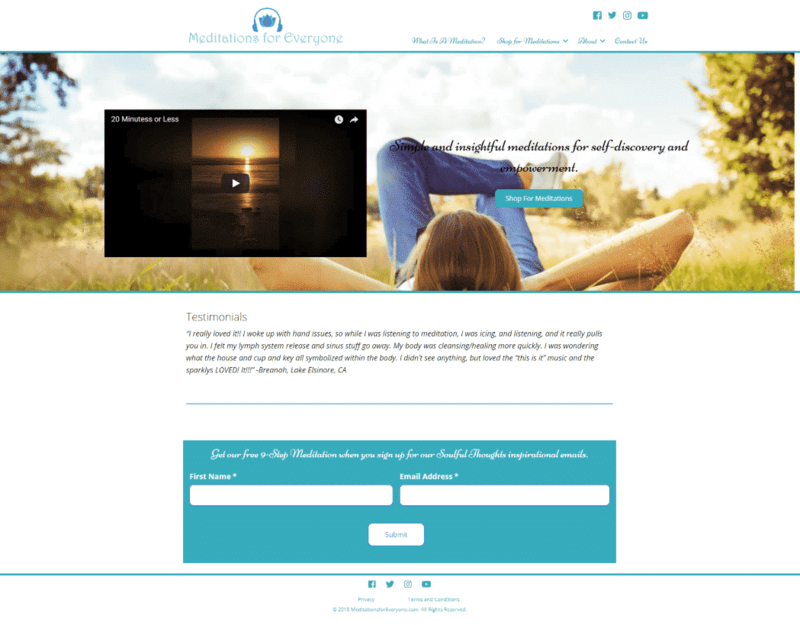 We are excited to announce a newly redesigned website for Meditations For Everyone. The site features several downloadable meditations as well as information related to meditating in general. Roxanne wanted a newly redesigned website to adapt to the ever changing technology. She wanted a new process for her customers to download her featured meditations. She also wanted a new way to easily manage content on the site and also be more user friendly. We had an amazing time working with Roxanne, and if you are in the market for audio meditations, please check out her site at https://meditationsforeveryone.com/, you won’t regret it.